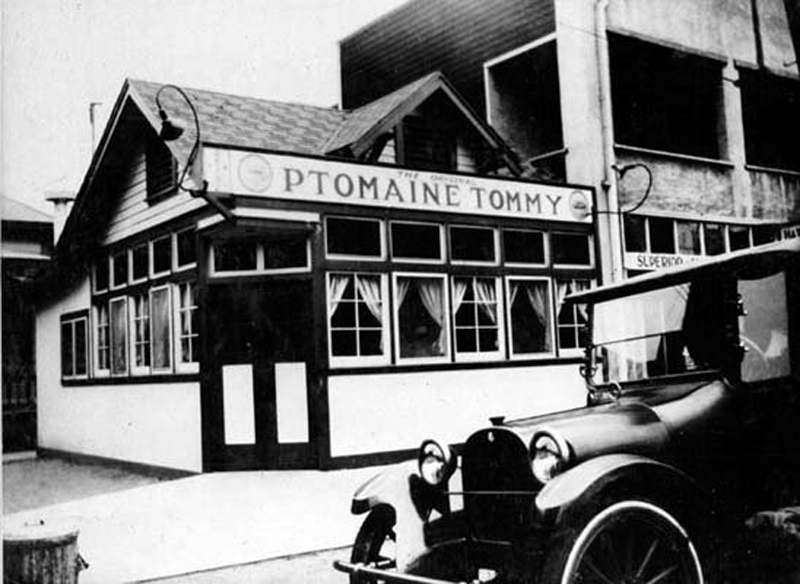 ...didn't know where to post it, so I guess ppptomaine is as good as any. I eat road kill... yes ! - don't turn your nose up at it... if it's fresh it's edible ! 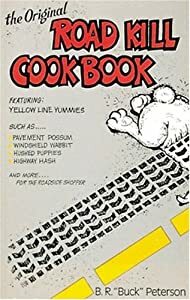 Re: Roadkill Cookbook: A Roadkill Response Team! Many years ago, one of these united states had the policy that large edible roadkill (deer, moose etc) would be sent to state prisons, homeless shelters and soup kitchens etc. In some counties there was no open institution from 9PM to 6AM to receive the meat before it spoiled, and storage was not usually an option. In such a case the animal could be given to those at the scene, if they wanted it. Often they didn't. Thus a group of friends including a police dispatcher formed a "roadkill response team". The dispatcher was key to the operation, for s/he could claim otherwise unwanted roadkill and needed to tell the officer on scene plate numbers of who would respond, notify fish & game, state police, (legal possesion of untagged game, etc.) and initiate the team's telephone tree. What usually followed for the team was an all night pickup and butchering session and sometimes a day job without sleep. Later, of course, came many fine venison and moose dinners. A sore subject with me. In Texas taking a deer killed in an accident is a crime and vigorously prosecuted. Total waste, but then we have a politically correct bureaucracy (Texas Parks and Wildlife) that puts the Federal Government to shame. And then there was the blogger who got in trouble after he ate a dove that committed suicide by flying into his plate glass window and breaking its neck (and blogged about it). Do they chop off a hand if you're caught with the blood of the Kings deer on it? Texas has very little public land for a state this big. The reason for this is that in the 1840's when Texas became a state in the Union, the politicos here desperately wanted the railroads to proliferate. So grants of a section of land (one square mile) were given to the railroad barons for EVERY MILE OF TRACK THEY LAID. This continued until sometime in the late 19th century when someone finally pointed out to the legislature that there was no more land to give away. This was the first major fleecing of this state by the elites. (Not the last, but that's another story or two). So on the very limited public lands we have, you have real difficulty getting permission to hunt. There is a lottery you can enter. Several years ago, when I was more interested in hunting than I am now,I tried twice. Both times my entries were returned to me saying I had improperly filled out the entry forms. Now, I'm a fairly decent hand at filling out forms. Suffice it to say the instructions were NOT clear, or perhaps you could say that they were deliberately misleading. People who are connected, like people in state government, are able somehow to get around these problems. I've seen the evidence of this on numerous occasions. We have a couple of very large state parks in far south Texas that are essentially huge ranches that were donated to the state. Hunting and camping on these public properties is tightly controlled. And in recent years, the Republican appointed head of TPWD has tried hard to set up deals for these properties to be sold and returned to private hands. Meanwhile, the regular state parks do not get to keep any of the revenue they generate. It goes to the general fund for state expenses, and the parks are largely maintained by unpaid docents. Am I painting a picture for you? Rick Perry may not be the Sheriff of Nottingham, but there are definite similarities. I moved this thread over to the Diner Pantry. Lots of Admin work today. That was (or maybe still is) Colorado... I remember a pickup truck with a bunch of fresh muledeer roadkills (around 1993 ?)... I asked about it and they said they're collecting them off the highway and taking them to the CO pennitentiary in Cañon City where they are processed and fed to prisoners... lucky them !